With all the attention ride-sharing has been getting lately, some might think Uber and Lyft were highly inventive apps. But according to at least one company, the apps are just highly infringing. Who’s right? Probably neither. Hailo Technologies, LLC (“Hailo”) has recently sued both Uber and Lyft, alleging they infringed Hailo’s taxi dispatch patent, U.S. Patent No. 5,973,619 (“the ’619 patent”). The patent claims a method for a “computer system” that: (1) displays a list of transportation options; (2) asks the customer for a number of passengers; (3) shows destinations graphically; (4) displays the approximate fare; (5) calls a selected taxi company up for a ride; and (6) gives an estimated arrival time. A few months ago, Hailo also sued a few other companies for infringing a different patent, U.S. Patent No. 6,756,913 (“the ’913 patent”), which claims a method for keeping track of available taxis on the road. More specifically, it claims a method where a computer (1) determines if a taxi is free (i.e. currently has no rider); and if free (2) sends the current location of the taxi to the taxi dispatch server. Both of Hailo’s patents date to the late 1990s. That is, the patents claim these inventions didn’t exist (or weren’t obvious) at that time. Except a brief Internet search shows that similar taxi dispatch technology not only existed, but was widely used. Two reports from the Department of Transportation from 1991 and 1992 describe the state of “computer dispatch” technology at that time, and show many of the claimed features of the ’619 and ’913 patents. Another report, from 1995, has even more detail about various taxi dispatch technologies. For example, on page 115 the report details a product called “MT GU,” an automated call box that allows customers to order “one or several taxis”, specify “the taxi desired” (including getting a larger van), and provides the waiting time. The MT GU system seems to describe many, if not all, of the features in the system claimed in the ’619 patent, and predates it by several years. So there’s good reason to think that the inventions claimed in the two patents were not actually novel or nonobvious when the patent applications were filed. But will any of that matter? Patents, once issued, are presumed valid. In order for a patent to be declared invalid in court, a challenger must show “clear and convincing evidence” of invalidity. When the argument for invalidity is based on prior art, this can be an expensive and time consuming process, often costing in the hundreds of thousands, if not millions, of dollars. Thus even if these patents are in fact invalid and never should have issued, due to the cost of litigation courts often never decide the issue. An alternative to court exists in the form of inter partes review at the Patent Office. This allows the Patent Office to take a second look at claims in a patent, and declare them unpatentable under a more lenient “preponderance of the evidence” standard. But this procedure, although cheaper than court, is still relatively expensive. One study estimated costs through appeal at $350,000. Hailo strikes us as pretty trollish. As noted, the patents in questions seem weak at best, and Hailo doesn’t seem to be seriously using the “inventions” in any event. In its complaint against Uber, Hailo states that it is an app maker. But its website, www.bring.bikes, was registered only 10 days before it sued Uber and Lyft. Confusingly enough, there is another company named “Hailo” that actually does make a taxi hailing app. Even more confusing: “Hailo” the patent owner says it does business under the name “Bring,” but does not appear to be associated with another company called Bring that’s actually involved in transportation. This “Hailo” by contrast, seems focused on litigation. A recently filed document attaches the agreement assigning the ’913 patent from its original owner to Hailo. The contract is replete with references to patent enforcement and litigation. And in an earlier complaint, Hailo listed its business address as that of a law firm, and one of its members, 2S Ventures, has been associated with at least one entity that has filed over 20 lawsuits (login req. ), a typical litigation pattern for a patent troll. Whether or not Hailo is a practicing company, these are weak patents that deserve serious challenge. 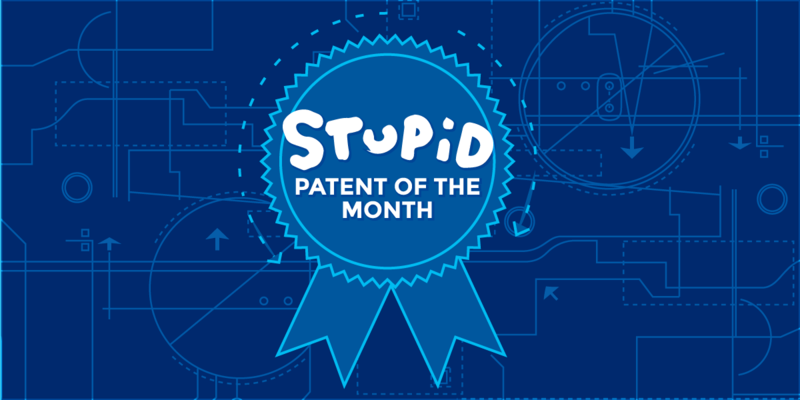 Sadly, that’s unlikely to happen – which is why stupid patents like these should never issue.